We are a sisterhood of women, all different ages, stages, and seasons of life, occupying different spaces throughout our city at any given moment. But every Saturday for four months out of the year, as Sole Sisters, we come together with our shoelaces tied tight, to train together — to build stronger bodies and even stronger friendships! To join Sole Sisters free training, simply sign-up with your email here. Watch your inbox for a message welcoming you to our tribe. Let’s show our Sole Sisters pride at the finish line. Order a Sole Sisters iron-on t-shirt decal today! Add it to any shirt you want and wear it on race day. Register today. Cross the finish line together. May 11, 2019! 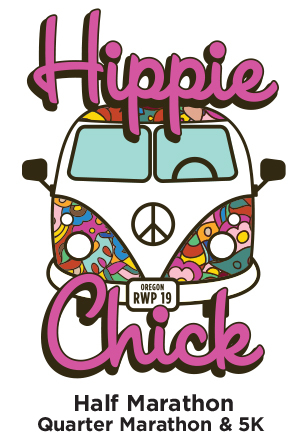 for the Hippie Chick race! Your donation keeps us moving In Step Together! Sole Sisters training is always free. Through our partnership with Joy of It, you are able to make a tax-deductible donation to our 501(c)(3) non-profit organization.